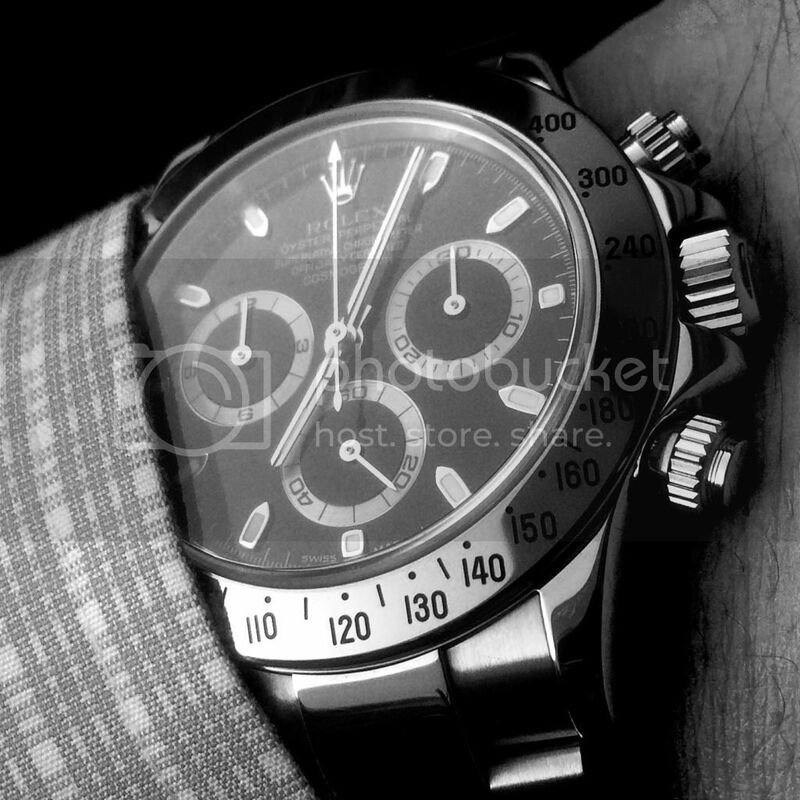 TimeZone : Rolex - Modern » Daytona! I just traded my SubC towards this NOS Daytona! Very pleased with it so far. This will not be a safe queen either! I appreciate the cuff-friendly size, just large enough to always peak out from under the cuff but not so tall that it interferes with the edge of the cuff.